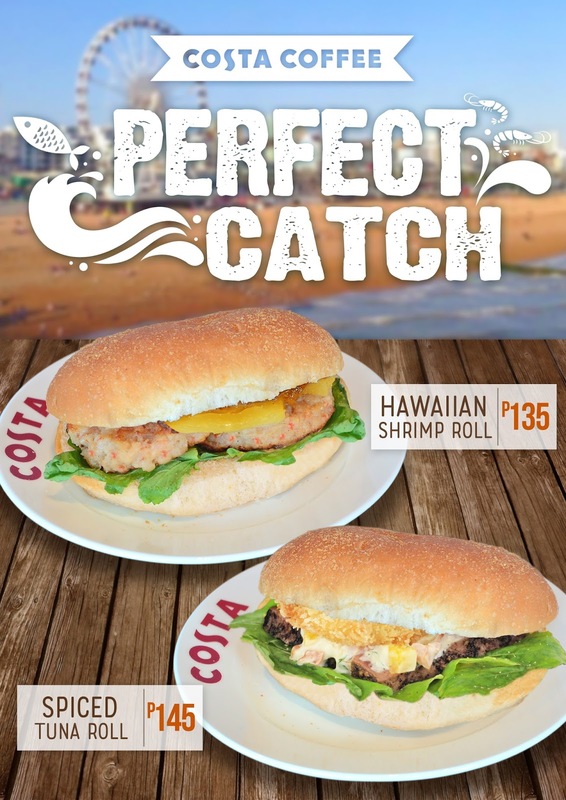 During this Lenten Season, a seafood sandwich is the perfect catch to go with your favorite beverage at Costa Coffee. Introducing “Gourmet Seafood Rolls,” inspired by the beloved Filipino pandesal stuffed with flavorful and savory yet guilt-free fillings. Take a bite of the Spiced Tuna Roll (Php145) when you need to skip the meat. Savor seared slices of fresh tuna spiced with pepper, complimented with mango and tomato salsa and topped with crispy onion rings. If you are on a seafood diet, try the Hawaiian Shrimp Roll (Php135), a combination of crispy and juicy shrimp patties, caramelized onions and sweet pineapple for that refreshing finish. And just like every cup of Costa Coffee, these rolls are freshly made and from scratch! Whether you prefer fish or shrimp, both sandwiches are delicious and best paired with the new Flat Black (the Americano version of Costa Coffee’s signature Flat White). The Lenten Season is on a roll, so get hooked on these Gourmet Seafood Rolls at Costa Coffee stores in Robinsons Galleria; Robinsons Supermarket, Robinsons Galleria; Robinsons Place Manila; Robinsons Supermarket, Robinsons Place Manila; Robinsons Place Antipolo; Robinsons Magnolia; Robinsons Selections, Venice Grand Canal; Robinsons Equitable Tower; Robinsons Summit Center; Cyber Sigma, McKinley West; Tera Tower, Bridgetown; Citywalk 1, Eastwood; UP Town Center; SM City Manila; The Block, SM North Edsa. Follow Costa Coffee PH on Facebook, Instagram and Twitter for more updates.